Pirates. My family loves them! They having pretend sword fights, trying to find illusive buried treasure, and saying “Arrrrrrrrr!” while they do it all. The one of the aspects of pirate life we have yet to experience is getting to sail the open seas to put all of our “pirate skill sets” into play. We were asked to put our pirate practice into play by going an adventure with the crew at Pirate Adventures, and we could not wait to set sail! 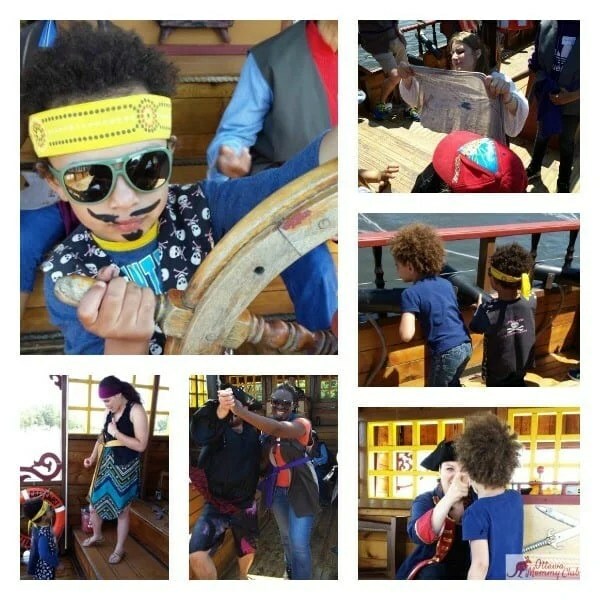 Pirate Adventures is an interactive pirate-theatre cruise that takes place on a pirate ship on Mooney’s Bay. Everyone joining in on the action get to take part by dressing up in pirate garb and helping the pirates on the ship on their journey. There are trips that are spoken in either English or French, so you can sail in the preferred language of your choice. After checking in, we were able to take in the beauty of the area in one of the “pirate-themed” party tents to get out of the sun until the action began. It was nice just hang out and look around to see what we were about to ship out. It was dress-up time! Two members of our pirate crew, Cutlass Kate and Pearl, welcomed us to the day’s adventure! We were then each given a pirate name so we would become fierce pirates. Besides being a pirate, there are options to become a pirate mermaid or a pirate princess. Out of all of my family members, our little guy looked the most like a pirate. 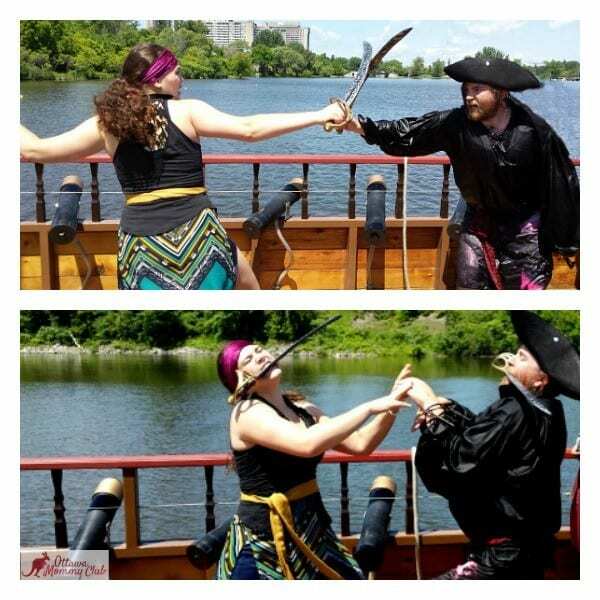 Once we were all sporting our pirate gear, it was time to hit the high seas of Mooney’s Bay! We were directed towards our sailing vessel called the Grey Ghost. It was such a gorgeous ship and it was fun to board. My kids were both excited and a bit intimidated at the size of the ship, but once on board, they liked it a lot. As we took our seats, Cutlass Kate and Pearl introduced up to the final member of our crew, the Captain. I was pleasantly surprised to see that we were going to be sailing with an all-woman crew! She looked imposing, yet fun, too. As we started our pirate adventure, Cutlass Kate, Pearl and The Captain told us about the treasure we were going find and the story behind the treasure. The crew was really interactive with us new members of the ship. 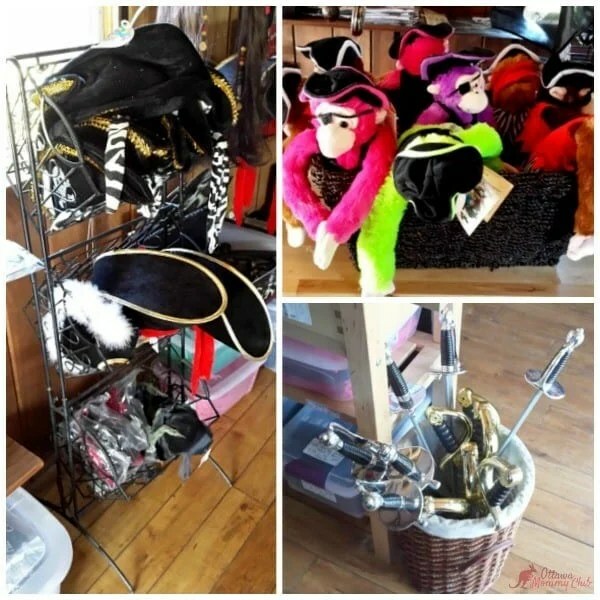 They made sure that each of the younger members became involved in some aspect of our journey, from asking the kids questions; to having them help get rid of evil Pirate Pete, a pirate who was trying to stop us from finding the treasure, to learning pirate song and dances. One of the best parts had to be the pirate fight between Pearl and Pirate Pete. It was fun to see a pirate sword fight, then to see them switch to a, um, less traditional form of combat. At the end of our journey, we found the “X” that marked the post where our treasure was hidden. We hauled it on board and opened it the chest to find it full of gold coins and other treasure the younger members of the crew would enjoy! Once back on shore, we then ventured in to the gift shop where we were finding our own piece of treasure to take home. We had an amazing time aboard the Grey Ghost as part of the crew during our time at Pirate Adventures. 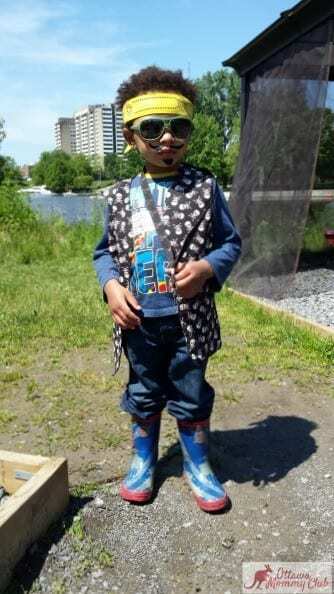 We got to dress-up as pirates, sail along the Rideau River on a pirate ship, and be a part of a pirate story that had action, mystery and comedy. My family really enjoyed this experience, and my kids are constantly asking to go on their next adventure. For more information about Pirate Adventures, you can visit their website. You can also connect with them on their Facebook and Twitter pages! Disclaimer: I received a complementary trip for my family at Pirate Adventures in order to write this review. All opinion expressed in this review are my own. Ahoy there, Mateys! 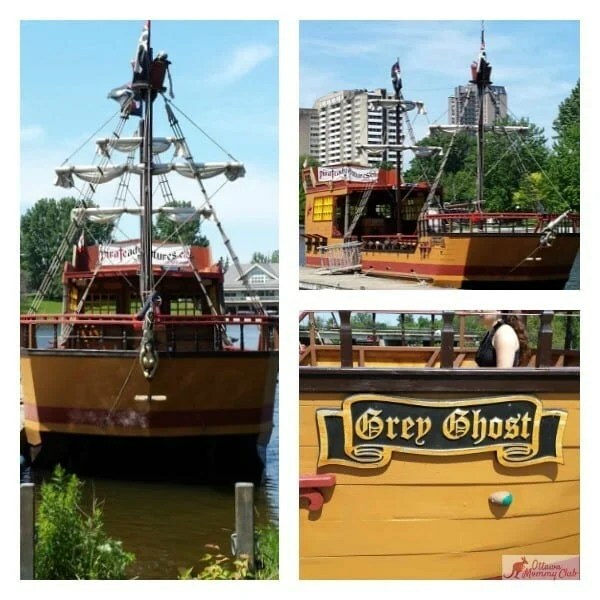 Pirate Adventures would like for one lucky reader to suit up and become a part of their crew on the Grey Ghost and take part in a pirate journey at Pirate Adventures! This giveaway is open to Ottawa area residents and will end at 11:59 EDT on August 2, 2015. I’ve heard of the Pirate Adventures. I’ve always wanted to bring my girls on it. Have heard about this….always wanted to take the kids on this pirate adventure but have not had a chance to yet! We’ve never been. This looks amazing! !! Have never been on the ship, but saw it while taking the family to the park and heard good reviews. I have heard of it but we have never gone on it yet. I’ve see Pirate Adventures while paddling at Mooney’s Bay. i have heard of it and always wanted to take the kids! Hi there! Have always anted to take my boys on the pirate adventure. Looks like a lot of fun! We are moving back to ottawa at the end of July! This would be a perfect welcome! Yes I have heard of them but never been before. Have heard of pirate adventures but never been. My 4 year old son would be in pirate heaven. Ahoy! Thanks for the info! We are thinking of taking the kids this year!! It would be great to win tickets! I should mention I’ve heard but never been!! I’ve just recently heard of it. 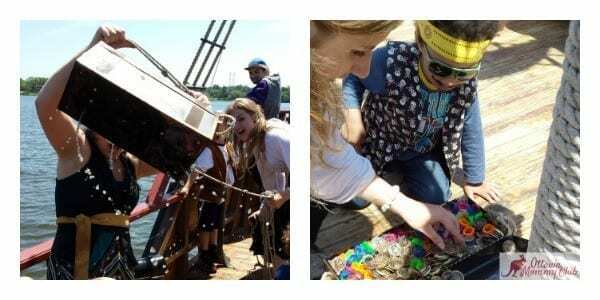 Would love the opportunity for the family to partake in a pirate adventure! Never heard of it. Looks like awesome fun! We went there today. It as awesome! Can’t wait to go again. we’ ve never been, would love to win tickets and tag along my friend and her daughter. Looks like a fun time! It looks like a lot of fun but it’s never been in our budget! Thanks for the chance! 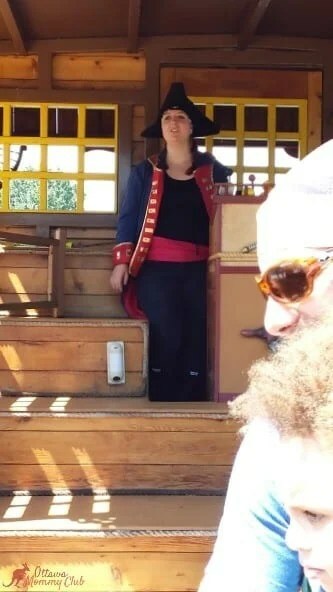 Yes, I’ve definitely heard of Pirate Adventures, have seen the boat on Mooney’s Bay, but have never been. We have heard of it and are dying to go! I have never heard of Pirate Adventures before and just found out about it through this review, thanks for it! My son would love to go, so I am very pleased there’s a chance to win 4 tickets, yes! We’ve never been, but my 6-year-old is going to a birthday party there this Saturday. I’m sure it’ll be so much fun! Came across Pirate Adventurs earlier this summer. Would love to go! Never been but my son would love this adventure!!! I have heard of it but never been! We have been curious if it would be a neat “stay-cation” idea to do. Thanks for the information and review. First time I’ve heard of it. Great idea, totally thinking of bringing the kids! I heard of it for the first time yesterday while looking for kids activities in Ottawa. No, I have not been yet to the Pirate Adventures, but we have heard a lot of wonderful things about it, and would really like to go. We’ve never been. Have always wanted to bring the LOs though. I’ve heard it’s a blast! I’ve seen the ship but I’ve never looked in to it. Thanks for the post and the opportunity! I have never been on this ship, but have recommended it to people as I have heard great reviews! Hope to give it a try!! Can’t wait! I have been wanting to take my Son!!! We have always wanted to go. Never had the oppotunity to go and would LOVE to. I’ve heard of it and driven by numerous times. I have wanted to take my kids but always forget. I have never been but my son and grandsons live there and I know they would love to go to this. I have heard of Pirate Adventures, but I have never gone. I know my daughters would love this! I have seen the ship from the shore of Mooney’s Bay but have never been on it. I have never been, but Mooney’s Bay has become my kids’ favourite beach to go to because they love catching sight of the pirate ship while swimming! We would love a chance to go. With a family of boys, we have been on the Pirate Ship before. It was great fun. Now my youngest is entering that pirate phase. I would love to take him. Have never been, but have always wanted to go!! I live outside Ottawa but have never heard of them. My two 5-year-olds would love to go! Sounds perfect for birthday parties too. I have heard of this awesome adventure but never been. 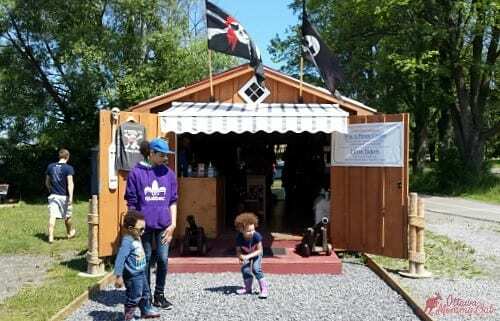 Would love to take my girls, they are into pirates and would love this! never have been but drive by everyday from work and would love to check it out! We have never been but have wanted to go for a few years!